David Park came to the sport of cycling later than most, caught the competitive bug, and went from Cat 5 to Cat 3 in just a couple of seasons. His job as a firefighter gives him some flexible time to invest in training while staying in solid physical shape for his job. 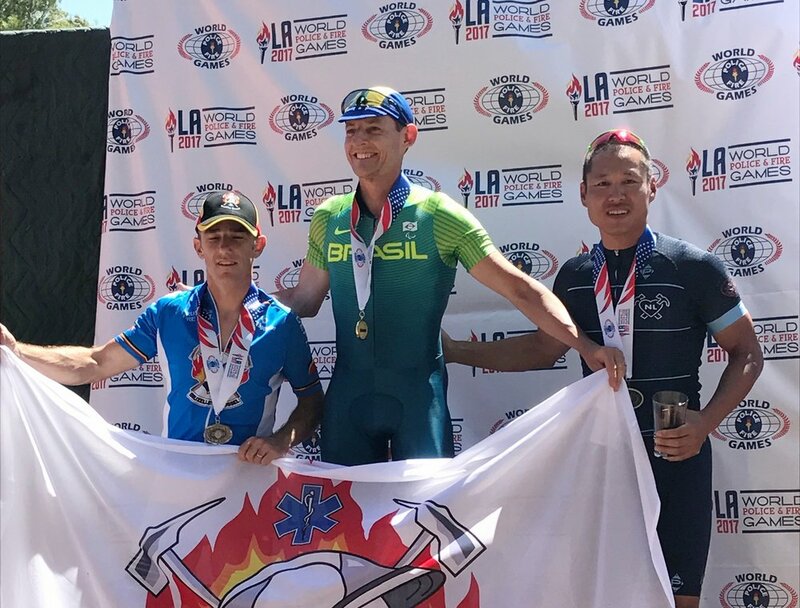 This past summer, David had the opportunity to compete in the World Police & Firefighter games in LA and did well in several events. He's traveled the path of getting into racing and climbing the ladder the past few years and always has good insights to share. There are too many to list , but here are some things to consider. Start with getting a professional bike fit if you have not done so. A proper bike fit should help you reach your best potential for mechanical efficiency in relationship to aero and power. Unfortunately there are no shortcuts in cycling when it comes to developing your aerobic engine/ bike handling skills / power / muscular endurance and race experience. If you are planning to race and race well then every ride / pedal stroke must have a purpose! Be goal oriented for every ride, including group rides. Some aspects of racing can only be taught by going out there and racing. After you learn how to prepare your body for the demands of racing it's mostly about positioning and how to use your energy/fitness wisely. Racing is a chess match. Developing your situational awareness within a race unfortunately takes time/experience. Wind direction throughout different sections of the course and how to position yourself to conserve energy. While racing or pre course warm-up take different lines/speeds in the corners and know what is the fastest way to take them. In crit racing, corners can make or break you when it comes to depleting your energy. It's how you save energy coming in/out of a corner while trying not to lose too much speed and burning yourself up from the accelerations out of them. Also - toward the end of the race the line will tend to push outward in a corner because the speeds will be faster. So if you were taking the outside line thru out the race it may not be there for you on the last lap. When trying to gain back positions - there will be sections on the course where it will feel more natural for you to move up - it's different for everyone, but use those sections to gain back valuable spots. If the speeds are high and the peloton is stretched out (single paceline) - do not use those moments to move up and burn tons of energy or matches. How far is the finish line from the last corner? Position going into the last corner is crucial!!! Sometimes the sprint for position before the last corner in just as important as the sprint for the finish - something to think about. In Cat 5/4 fitness is important and not so much team tactics. If you are fit - it's easier to hold position and stay within the top 1/3 of the group. There's more of a discrepancy in fitness and bike skills in the Cat. 5/4. These are just a handful of things to consider / think about.